In this economy, in our industry, one of the biggest and most important challenges and necessities for a small business is to keep overhead costs as low as possible. Whether it be negotiating better rent for our facilities, or getting multiple quotes from sales people prior to making a major purchase, modifying crew sizes on jobs, or even simply soliciting which office supply vendor has a better deal on paper, our philosophy is simple: Every Dollar Counts! While striving to keep costs down, we quickly became aware that a few things needed to happen in order to work on growing our business. 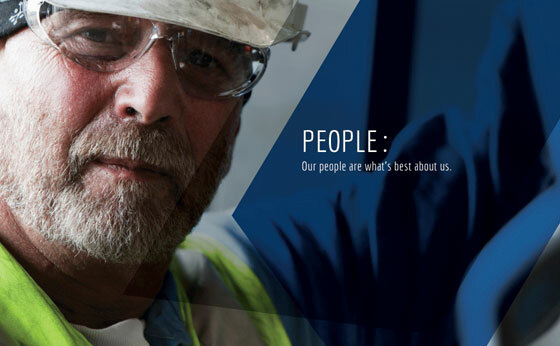 First, we needed to make sure the image of R N R was an accurate reflection of our company’s DNA. Second, we needed to join the 21st century and create a web presence for ourselves. Third, day in and day out we must be certain our conduct and business practices are in line with our DNA, image and branding we create. It was shortly after this realization (and after several interviews and hours of research time spent to figure out how we go about accomplishing our newly defined goal) when we met and partnered up with the amazingly creative, intelligent and insightful team at Dreambox Creative. After one conversation with Doru of Dreambox, I knew he had the passion, imagination and energy to help us get where we needed to be! The thing about dreaming big for your company is that there’s often a rollercoaster of thought associated with the dreams. You “think BIG” and “aim HIGH”, but then alternatively you have to “think REALISTIC”. So here we knew what we had to do, and how we wanted to do it, but then we had to come to the realization that it would require money. Something we don’t part with very easily. After discussions, thinking about it, more discussion and more thinking about, we gave the project a green light! We were 100% in! Write the check, sign on the dotted line and let the creative juices flow. With our logo getting a facelift, our website up and running and our image and branding in the trusted hands of the Dreambox team, we’re on the right track! We’ve expended the energy, we spent the money, so hopefully the next part will fall into place.